Widebody styling applied to the 707-hp muscle car. We’ve seen countless Liberty Walk body kits before, and even more videos of the Hellcat, but we never thought the day would come when these two worlds collided. From the guy who commissioned the one-off Pagani Huayra comes this quite outrageous combination. Alejandro Salomon clearly has awesome taste in cars, but not everyone is going to appreciate seeing the Hellcat in a widebody kit. We think it’s going to look epic, and here the man who goes by the name @Salomondrin, talks us through the Hellcat customization that includes a Liberty Walk body kit by Famous Autosports, an air suspension by AirRex, and a set of rims by PUR Wheels. 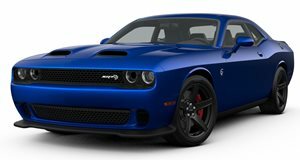 A wrap is also planned for what will be a totally unique Hellcat.